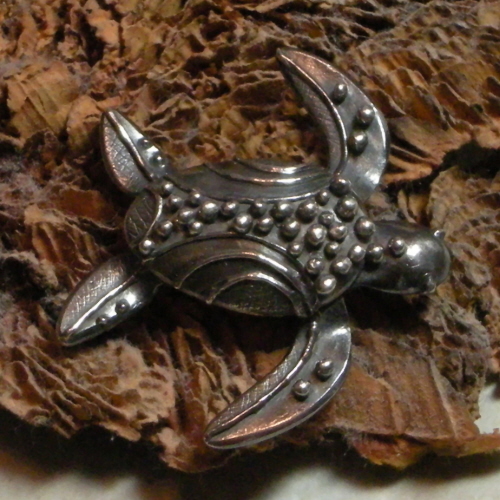 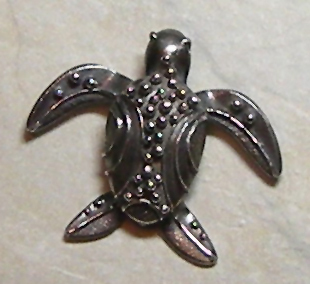 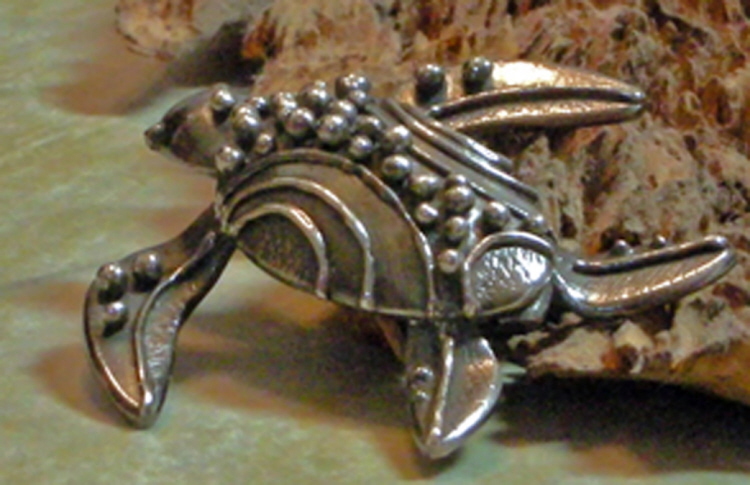 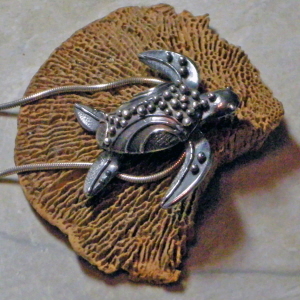 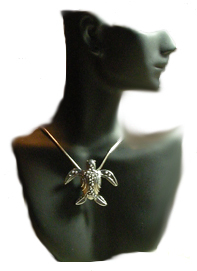 100% hand fabricated, pure silver sea turtle. 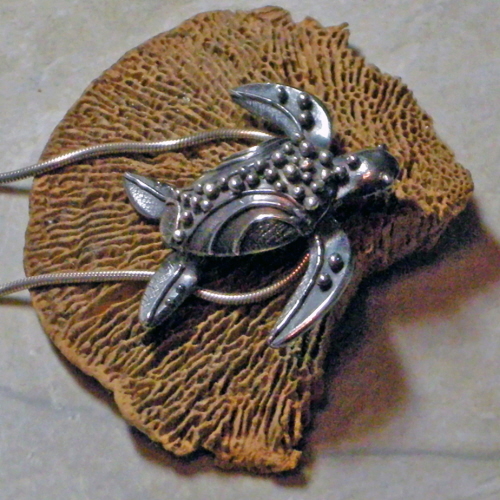 Constructed, using Art Clay Silver, in a class taken from Master Instructor, Gordon Uyehara. Artificially antiqued using Liver of Sulfur. Pendant measures 46 mm x 40 mm. Weight 0.5 oz.